We can help you defend all kinds of traffic charges, including Careless Driving, Stunt Driving, Speeding Tickets, No Insurance, Drive Suspended, and all other traffic charges. Ticket Defenders®* has on its team very qualified and respected Agents in Sarnia and all of Ontario. Come in for a free, no-obligation traffic ticket consultation and one of our Agents will explain how we can help you. 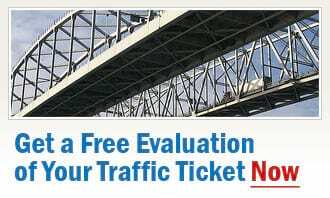 Our advice is based on years of successful defence of traffic tickets. We have always offered a free consultation to people considering ticket defence. Sarnia and the area residents can call our London office to speak with a knowledgeable traffic ticket agent that can explain your options to you and answer any questions you may have. Or just come to us, bring your ticket, and we will provide you with a quote for defending your matter in Court. Also, we will match or beat our competitors' fees (some conditions apply). Defending your traffic ticket is crucial for protecting your demerit points, your driving record, your insurance rate and, most importantly, your job if you need to drive for work. Any conviction, with or without demerit points, can affect your insurance rates. On the other side, the initial consultation with our traffic experts in Sarnia costs you absolutely nothing. Call us: if anybody can fight that traffic charge, it is our traffic defence team in Sarnia.